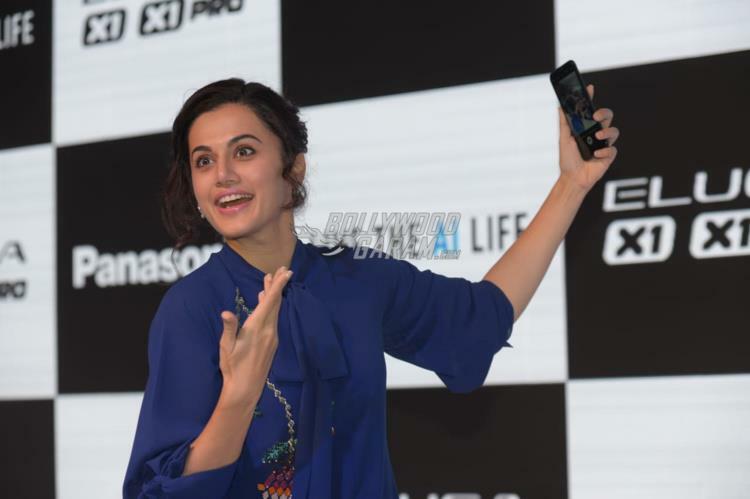 An enthusiastic Taapsee Pannu launched the new Panasonic smartphone series at an event in Delhi on October 4, 2018. The actress looked great in a blue outfit as she launched the new smartphone series by Panasonic. Taapsee while talking to a leading daily expressed that she is keen on testing the wireless charging feature of the smartphone that has been just launched. The actress also revealed that her upcoming film Badla is all set to release and will also feature Mr. Amitabh Bachchan. This will be the second time Taapsee will be seen sharing the screen space with Mr. Bachchan after the film Pink. The Baby actress was last seen in the film Manmarziyaan which also starred Vicky Kaushal and Abhishek Bachchan. The film was directed by Anurag Kashyap and was released in theatres on September 14, 2018. Taapsee made her debut in Bollywood with the film Chashme Baddoor. The actress was appreciated for her role in Baby which also featured Akshay Kumar. Taapsee had played the role of a tough cop.